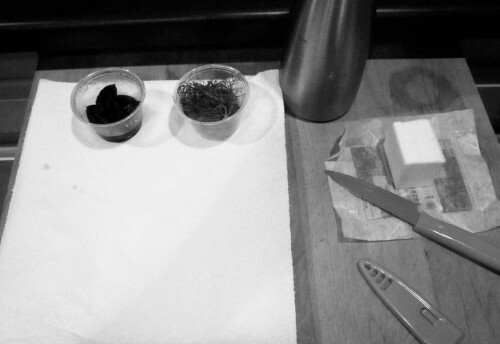 Beef, Elements of Root Beer – Alinea Restaurant recipe, pages 356-357. After cooking an intense, three-day Alinea recipe, and bounding back with a simple dessert, I decided on this for my next recipe challenge. BUT — I said to myself it had to be done quickly, and finished off-site (the GF’s for dinner). 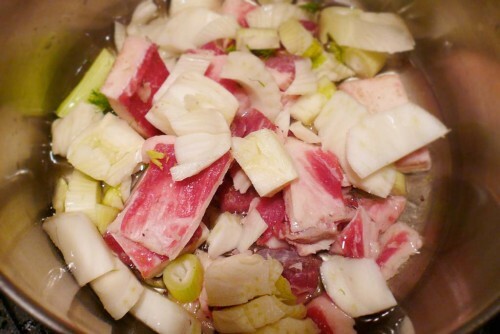 If you’re starting from scratch though, this will take you at least two days: one for the veal stock and curing the meat, and one for everything else. I’ve made this before for several Alinea Cookbook recipes, and so had some on-hand in the freezer. 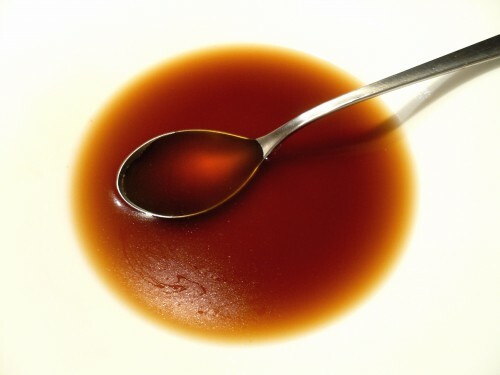 Veal stock has been called the foundation of all others, as it comes in so handy for flavoring and fortifying all manner of sauces. 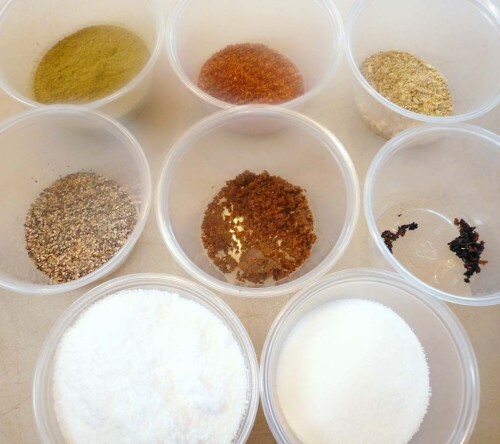 This is a spiced curing mix that uses some of the same ingredients used in making root beer. There is actually no root beer in it, per se. 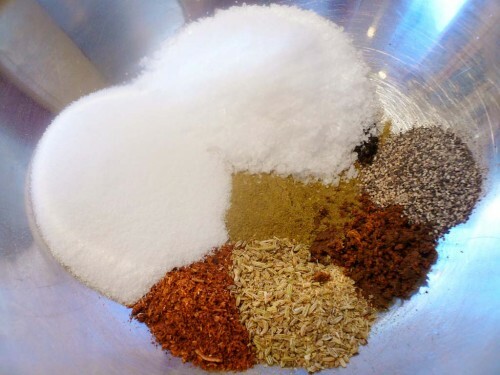 Here is a list of flavorings — some, or all of which — may be found in root beer: the main sassafras flavoring, complemented with acacia, allspice, anise, birch bark, burdock root, cinnamon, clove, coriander seed, dandelion root, ginger root, guaiacum chips, honey, hops, hot drops, juniper, licorice root, molasses, nutmeg, prickly ash bark, sarsaparilla bark or root, spearmint, spicewood, spikenard root, spruce (red, black or sitka), vanilla, wild cherry bark, wintergreen, and/or yellow dock root. As you can see, we’ll be using a few of these in this recipe. I’m of a mind to start experimenting with these for the perfect flavor! I scraped the seeds from on vanilla pod, and ground up the star anise, fennel seeds and juniper berries in a spice grinder. Then combined all the dry spices in a large stainless bowl. 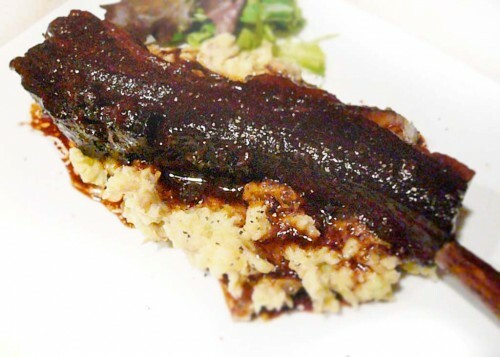 You put the short ribs in the root beer cure and let sit, refrigerated, overnight. I did my first batch early in the morning, then we had it that night. One day, I tell you. After they’d cured, took them out of the fridge, rinsed, put them a bag with some veal sauce, and sealed with the FoodSaver vacuum sealer. Then cooked en sous vide, for 6 hours at about 190ºF. 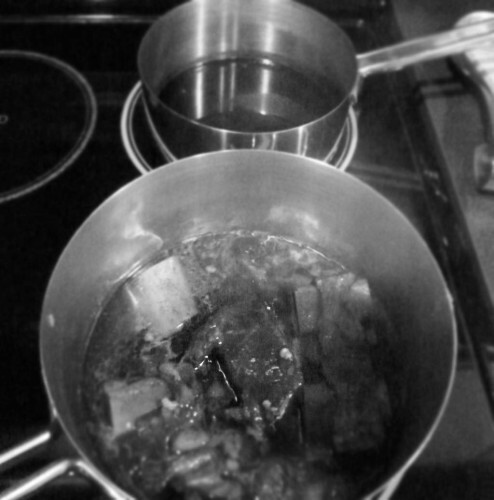 After they were done, I cooled the bag in an ice-water bath and refrigerated for ‘service’ later that night. A while back, I split a side of beef with my next-door neighbors. We’ve really been enjoying it since then! 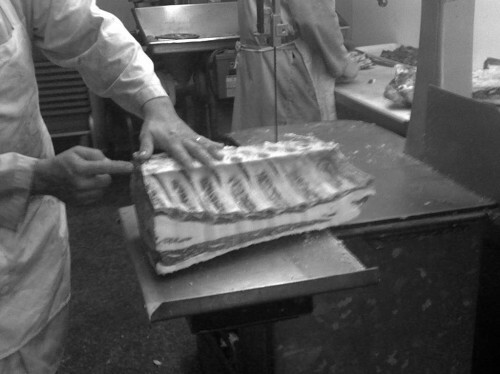 At the time, we had the butchers cut some huge ribs. 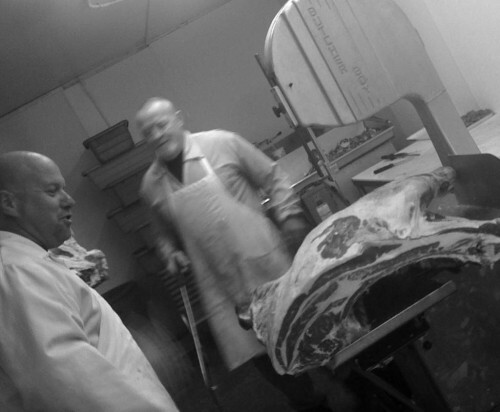 It’s nice to actually work with a butcher — who’ll do things “out of the ordinary” for you. We get so used to going to the chain grocery store and picking up what they lazily provide. 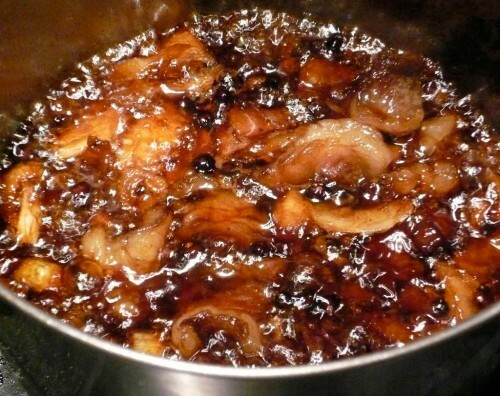 Just as we did with the cure, the sauce contains many of the flavoring ingredients used in root beer. I seared some rib meat trimmings and fennel in hot oil until browned. 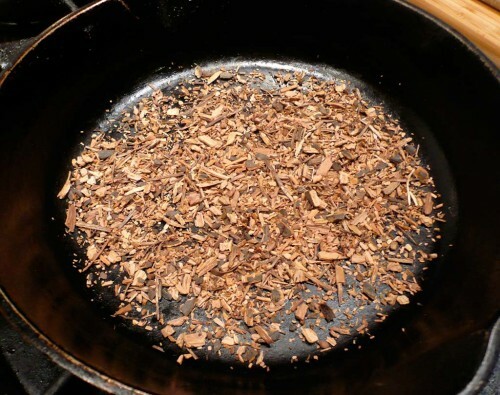 In a hot skillet, I toasted the sarsaparilla root until it had released its aromatic oils. Sarsaparilla (Smilax regelii) is a trailing vine with prickly stems that is native to Central America. Its roots are used to flavor root beer (also known as ‘sarsparilla’), along with the roots of the sassafras tree. 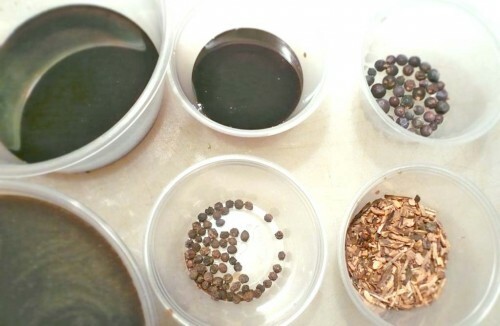 Dried sarsaparilla root comes cut and sifted, or in powder form. You can get it from Terra Spice, or online here, or here. I found mine at the good old Herb Shoppe here in San Diego. 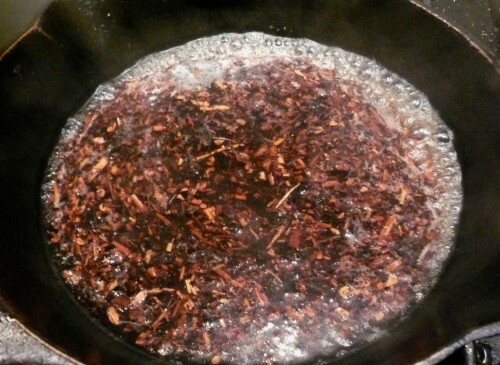 Then I added water, brought it to a boil, removed it from the heat to let steep to make an infused flavoring. If you find sassafras tea, you could use that here. What is Sassafras, and is it bad for me? Sassafras (Sassafras albidum) is a deciduous tree native to North America. Its bark was used medicinally by the Cherokee, and has been used to make teas and flavor root beer. 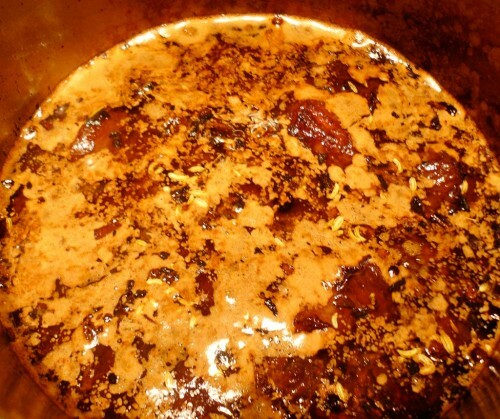 Sassafras bark and oil contain safrole, which has been shown to be a weak carcinogen in rats. 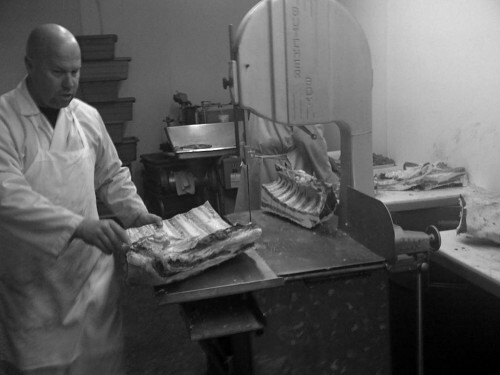 As a result, the FDA banned the large-scale use of safrole in commercial food and beverage production. A more pertinent reason for the ban, I cynically suppose, is that safrole is illegally used to make the drugs MDA (a psychedelic), MDMA (ecstacy) and MDEA (an amphetamine). Reality check: safrole is also naturally present in cinnamon, nutmeg, black pepper, and basil! Pregnant women should stay away from safrole. Modern root beer does not contain real sassafras, most use birch bark or artificial flavorings (probably chemically worse for you than safrole). Sassafrass is available, but is considered a ‘precursor’ in manufacturing ecstacy and as such, is monitored by the DEA. That being said, people have been using it for centuries! Sassafras is still used in small quantities as a flavoring agent by craft breweries and some restaurants like Alinea. Ground sassafras leaves, also known as filé in Louisiana, are used in Cajun dishes such as gumbo filé. Sassafras leaves do not contain sufficient amounts of safrole to be covered by the FDA ban. 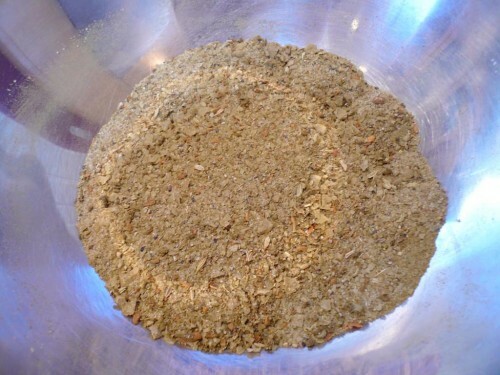 Dried sassafras bark and dried sassafras root bark come cut and sifted, or in powder form. You can get it from Terra Spice, or online here. I did not use it, and opted for dried sarsaparilla root instead. 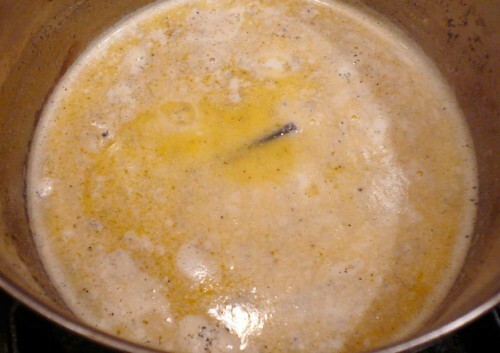 After it had steeped, I strained it into the reduced sauce. 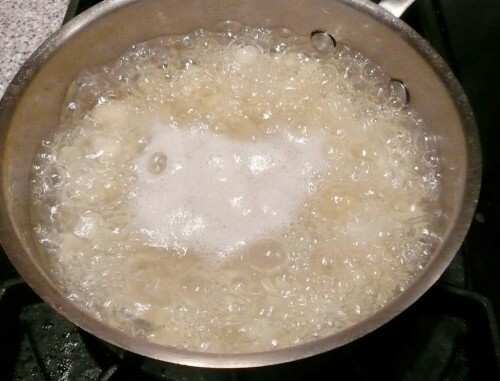 Then reduced some more, until it thickened up. The final sauce was strained once more and reserved to a plastic container for later. Since I was in a mood — a mood to do this quickly and painlessly — I decided to use the stalks of the fennel instead of going out on a wild goose chase for damn salsify. I’ve looked for it before and could only find it at Specialty Produce (and at US$16.00, no less). 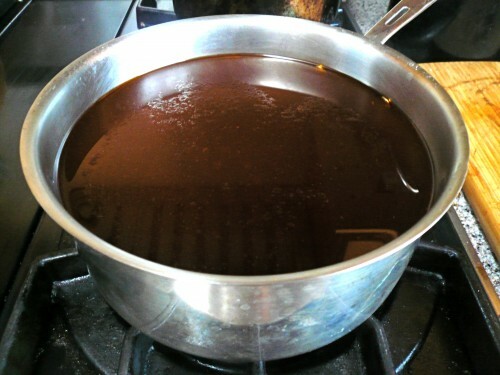 I combined the milk, sugar, seeds from a vanilla bean, and salt to taste in a medium saucepan and brought to a simmer to dissolve the solids. I boiled the potatoes instead of cooking en sous vide, drained, rinsed, then added to the milk. 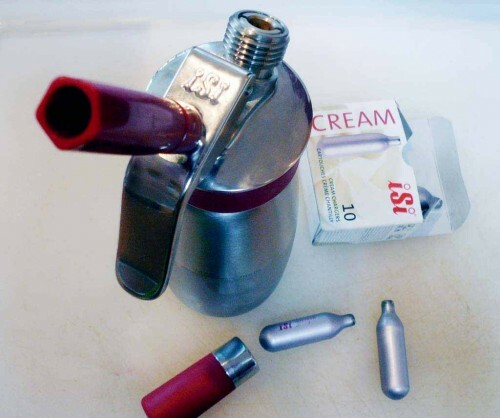 Blended until smooth in my Oster bar blender, strained, and transferred to a siphon canister fitted with a NO2 cartridge. 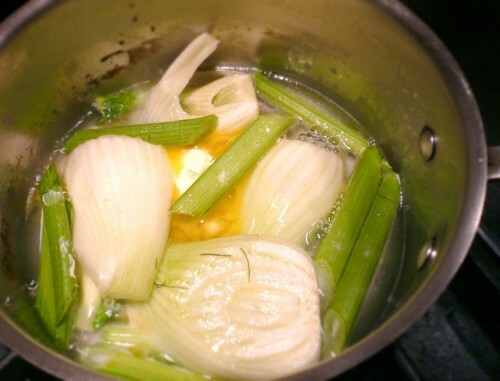 Since I was not using the salsify, I combined both the sliced fennel bulbs and stalks with water, sugar, butter and salt in a medium saucepan, and until water had evaporated. I removed them and drained on paper towels. 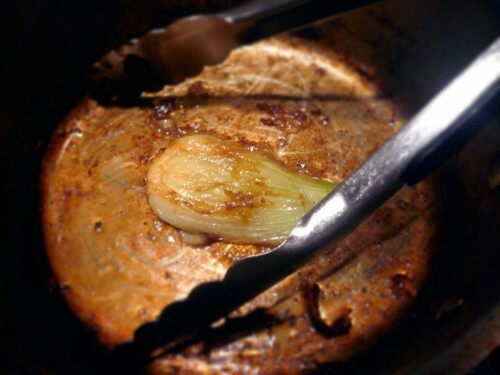 I seared the sliced fennel bulbs and stalks to caramelize their surfaces ahead of dinnertime. 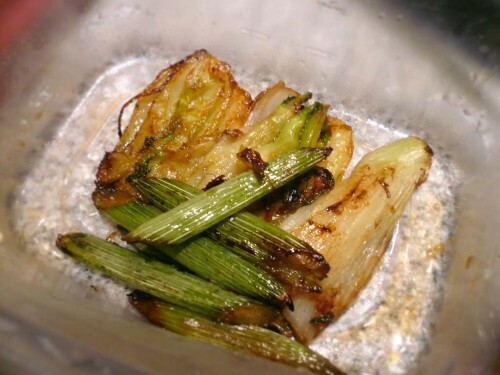 I reserved the glazed fennel bulbs and stalks in a plastic container, so later all I’d have to do was heat them up. I took the best looking fronds from the fennel, rinsed them in icewater, and reserved in a small plastic container. 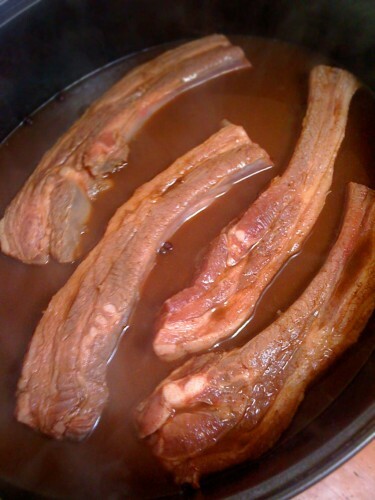 I heated some root beer sauce in a small pan, and heated the prunes and ribs in their braising liquid in a medium saucepan. 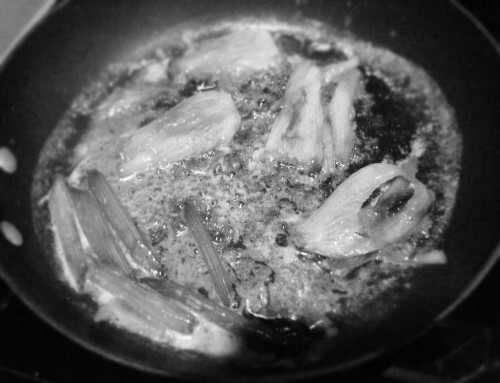 Then I sautéed some of the fennel bulbs and stalks in butter. Then assembled! 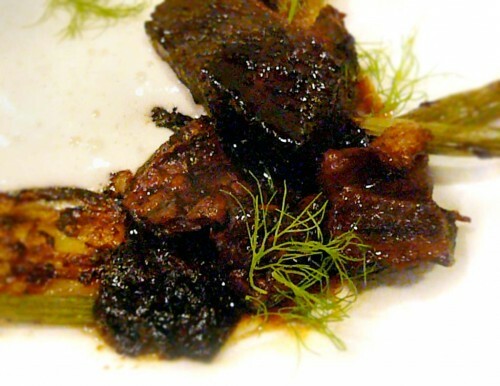 Placed some ribs on the plate and fennel, fennel stalks, and prunes surrounding the ribs. Topped with root beer sauce. And added a pile of the potato foam. The foam was a bit runny, and not as solid as I would have hope for. But we liked it! The flavors are subtle, — more umami than sweet. 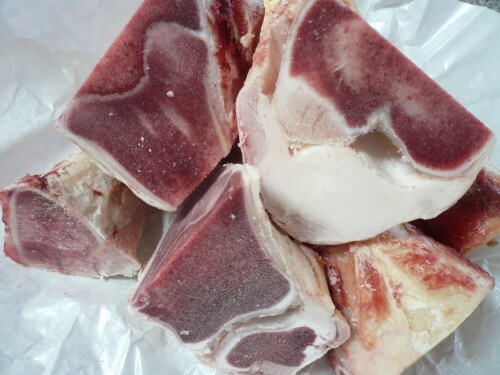 Delicious and tender beef. You could almost say we were “ecstatic” about the recipe. It was so good I wanted to try it again, but this time with larger ribs! The root-beer rub/cure is definitely something that should be rotated into the regular workaday meat repertoire! So tasty!